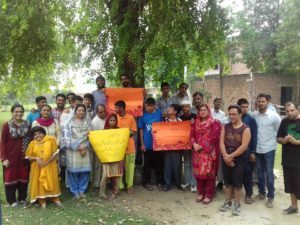 Roshni Village is a centre where people with and without special needs come together to live and to work. The Roshni Village’s prim ary goal is to nurture healthy development while providing a stable environment in calm surroundings. Our living community, away from the bustling city life of Lahore, in Karbath Soling, off Bedian Road. Roshni Village consists of two community houses, workshops, a bakery as well as gardens and fields. 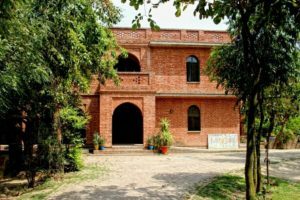 More than 30 special friends live here with house parents, staff and volunteers and enjoy good care and Roshni family life. Other special persons benefit from our daycare service by working in our workshops. 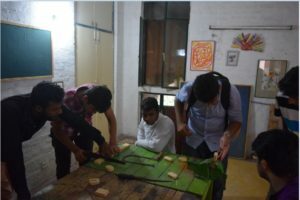 Workshops including a bakery, an organic farm as well as textile, art and woodwork allow everyone to hone artistic craft and social skills. 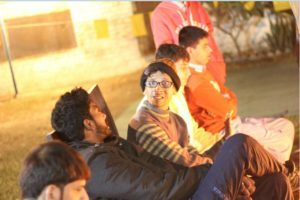 A firm emphasis on the balance of work, both indoors and outdoors, as well as sports, arts, and cultural activities, provide a fulfilling mixture for students and volunteers alike. If you have a family member, a friend or a neighbour with developmental disabilities, then Roshni Village is the best place for him or her. The special person should be above the age of 16 and be healthy to become part of our living community where a balance has been created between work, social and cultural activities, for the community members. Before admission, we invite the applicant and his/her family for a visit. Then the interested applicant is interviewed with his/her family and is asked to submit the admission application form. Throughout the admission process we assess the strengths and requirements of the special person and our capacity to meet those needs. We also keep in mind the contributions the individual can make to the social and working life of the Roshni Village. Tours for admissions and for general visits can be organized from Tuesdays to Thursdays from 10:00 a.m. to 3:00 p.m. Please call 042-35600240 for arranging the visits. 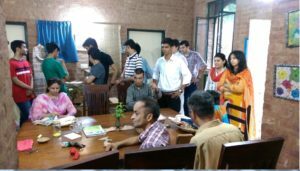 Special Persons in Roshni find suitable tasks in one of five different workshops. The exercise of working with hands adds to the self confidence of special people and is also a therapeutic technique for enhancing their creative capabilities. The products are exhibited at different Expos as well as delivered to people’s homes which earn them respect and encourage them to do more work in the future. In the wood workshop wooden toys, frames, trays and other items are made by special people. The workshop aims to discourage the use of plastic products and promotes the use of products especially toys, made from natural material, because they play an important role in our childhood. In the wood workshop, everyone has his or her own specific task, depending on each individual’s aptitude. Some special persons sand the products while others enjoy oiling and painting them. In the harmonious atmosphere of the textile workshop, the students produce various items according to traditional methods. This gives them a straightforward way to see the benefits of their abilities while allowing them to be creative. They are given the opportunity to explore the work of stitching, embroidery, tie-dyeing and weaving as well as beading. The finished products range from stuffed animals and embroidered bags to scarves and pillow cases. The art workshop is the latest addition to the Roshni workshops. 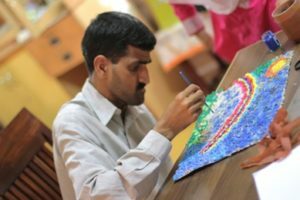 Being artistic and creating art serves as a great occupational therapy for special persons, as their creativity is nourished. Our special persons in this workshop produce handmade cards, recycled products and paper bags decorated with their fine art, which are also for sale. Special persons from other workshops also get an opportunity to spend some time here to express their artistic abilities. They also participate in different art competitions at the local and national level, to gain confidence and self respect. The bakery offers various types of whole grain bread and pastries. It uses organic raw material as much as possible and avoids the use of chemical additives and artificial flavours. The whole process of baking, starting from milling the grain into flour to freshly baked bread, is done completely with the involvement of special persons. 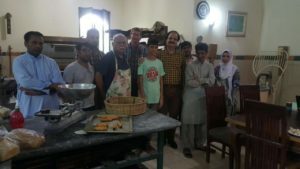 They help the workshop in-charge in measuring the ingredients according to the recipes, oil the moulds, clean and grind dry fruit, cut breads and pack them etc. This experience is an important part of their overall learning process. 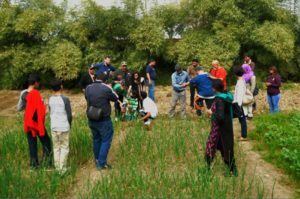 Working in the Roshni gardens and fields on the village premises offers a physical outlet for the special persons and, because of the cycle of seasons, they are given a sense of nature’s rhythm. As part of their daily routine, they do all types of agricultural work. Our special persons are involved in the maintenance of the gardens. It is the specific method of planting and upkeep however, that makes the gardens at Roshni so inviting. Farming plays an important role in community life since it also provides the basic nutrition for the community. Moreover, the harvests of rice and wheat are celebrated year after year with much fanfare.